Every summer, Independence Day fireworks (even of the illegal variety) fill the night sky over Portland. And while our Vancouver neighbors to the north in lay claim to the biggest display in the region, Stumptown holds its own with several impressive shows and innumerable neighborhood displays throughout the city. 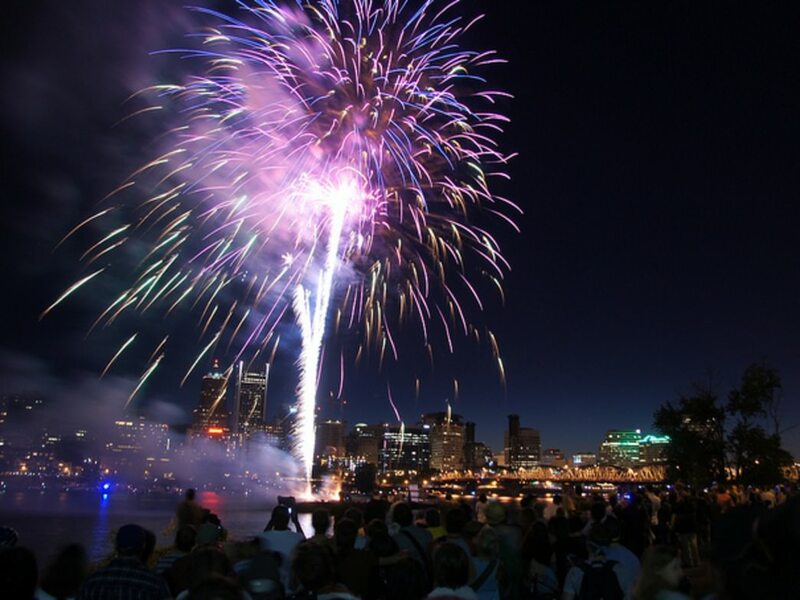 If you haven’t yet made plans for the 4th of July in Portland, these ideas offer great inspiration for making the most of the summer holiday. 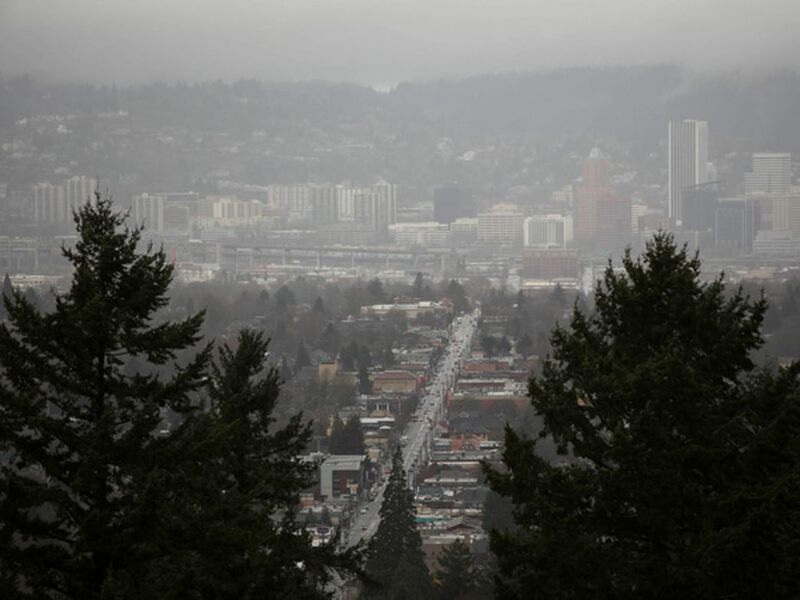 They run the gamut from convenient and family-friendly to mildly-difficult-but-rewarding forest treks, but they all promise views of Portland’s innumerable (though sometimes not-totally-legal) firework displays, both large and small. The family-friendly Fourth of July celebration takes place at Oaks Park, one of Portland’s best-known landmarks. The park’s all-American holiday fun starts early and includes mini golf, midway games, roller skating, rides, and (at dusk) the celebrated fireworks display. Insider Tip: Getting to Oaks Park can be difficult, especially during holiday traffic and ongoing Sellwood Bridge construction. More adventurous types can skip the crowds and arrive via the Springwater Corridor Trail, which passes just outside the park’s gates, not far from downtown Portland. More than anything, the Pittock Mansion lawn affords visitors pristine views of dozens of less-than-legal fireworks throughout the city. Northeast, Southeast, and Northwest Portland are all visible from the mansion, making it a popular spot for enjoying the area’s various displays. 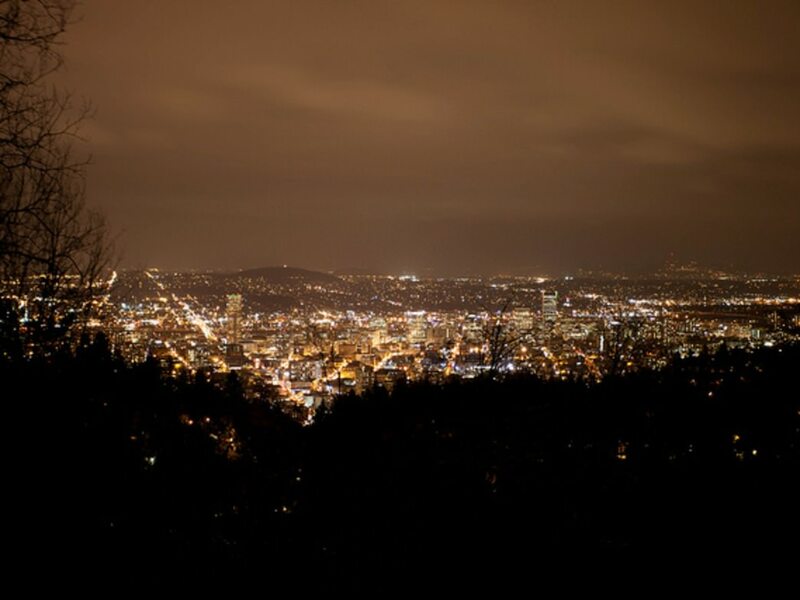 Insider Tip: Pittock Mansion’s gates close at 9 pm, and any remaining cars will be ticketed. Try parking at the Upper Macleay Trailhead and taking the Balch Creek Canyon trail (aided by flashlights, naturally) to enjoy the show. Round-trip, the well-maintained trail covers a little less than three miles (with about 400 feet in elevation gain), making it an ideal, doable trek. But be sure to wear bright clothing and bring flashlights for the return trip. 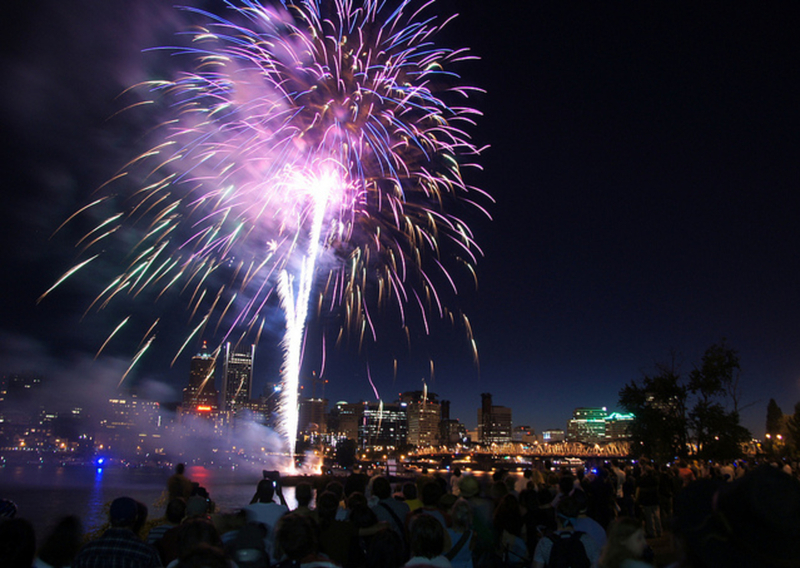 Insider Tip: Even if you can’t get reservations or aren't planning on having a meal there, a small grass field borders the restaurant to the north, offering views of the Waterfront Blues Festival fireworks display. Mount Tabor , towering over southeast Portland, hits just the right note for crowd-adverse fans by providing some of the best views of the Waterfront Blues Festival fireworks display. 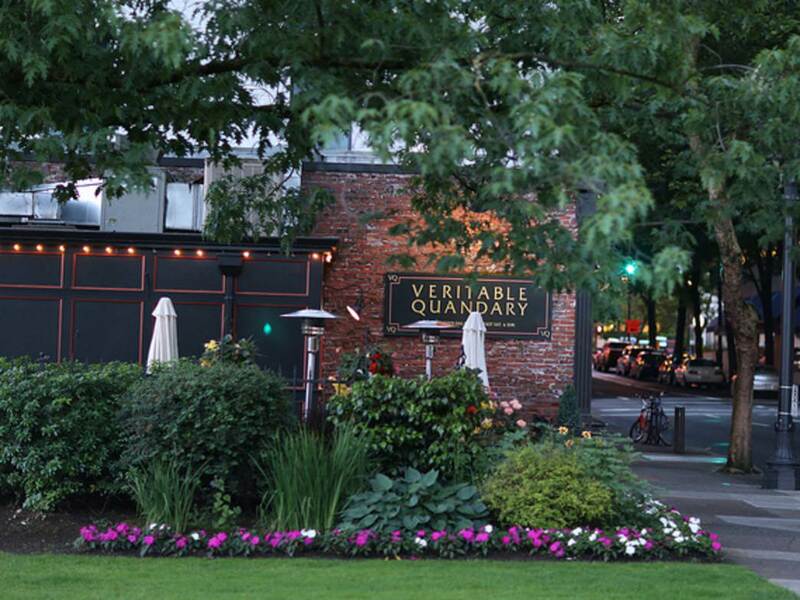 This under-the-radar viewpoint offers some of the best views in the city. To the south, fans can enjoy the Oaks Park celebration in all its splendor; to the north, the Waterfront Blues Festival fireworks display isn’t far away. The bridge’s height over the Willamette River makes it an ideal spot for enjoying both displays at once. 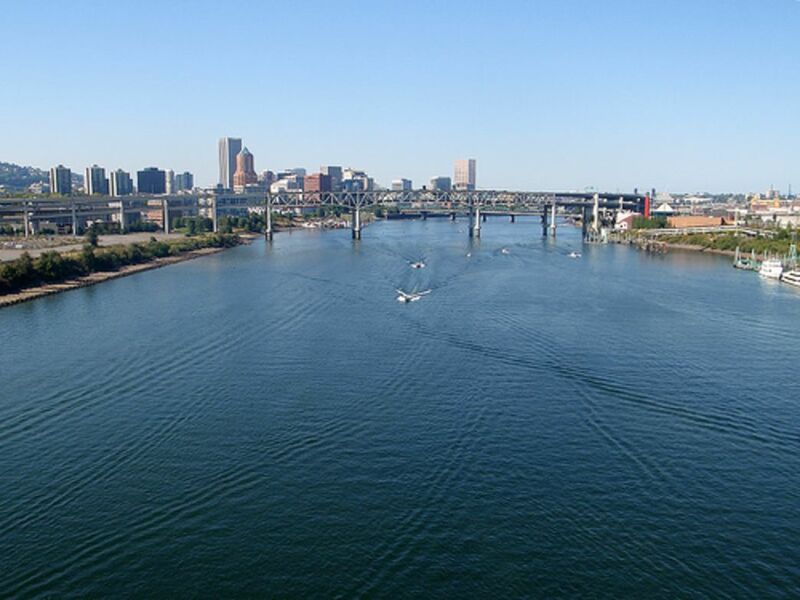 Insider Tip: If the Ross Island Bridge gets too crowded, try parking at the east end of the Hawthorne Bridge and walking over the river for unmatched views. You won’t see as much of the Oaks Park display (which will be hidden behind three of Portland’s Willamette River bridges), but it nevertheless provides an up-close viewpoint of the biggest display in Portland.